This elite Starbuzz hookah is a step above the rest. The Starbuzz Matrix isn't your everyday hookah. It's got attitude! With a ribbed stem and a decorative base, every inch of this hookah contains another detail. The Starbuzz Matrix Hookah is stored in a hard style carrying case for easy travel and protection. 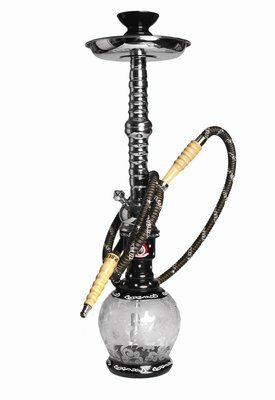 This Hookahs durable design allows for ease with setup and maintenance, while providing entertainment for years to come.